We all want to get more done and to be able to look back at the end of the day, week or month and note how much we accomplished. We might learn systems to make us more productive and buy apps that help us manage our time and our tasks. Do they really help? In my year end review post I mentioned that I didn’t feel I was as productive in 2017 as I could have been. As a result, I set a goal for 2018 to spend more time managing my productivity in the hopes I’d get more done this year. I thought I’d share a few more details about why I stopped using productivity systems and apps for a time and what I learned that made me want to use them again this year. Today I’ll focus on why I stopped and next week I’ll talk about why I started again, including some thoughts for how I plan to manage my productivity in 2018 and beyond. Like a lot of people, I’ve always been interested in figuring out how to do my work quicker and better. I do my best to pay attention to how I work and apply critical thinking to improve both the quantity and quality of what I do. I’ve learned and I’ve tried all sorts of systems, but most of them never made a connection with me or helped me get more done. Some of the systems weren’t suited to the way I work and perhaps I didn’t apply others the way they were intended. For whatever reason, none of the systems stuck beyond a brief trial. That is until a few years ago when I read the book Getting Things Done (GTD) and much of the book did connect with my way of thinking. I liked the idea to record tasks as soon as you think of them and how the most important task isn’t necessarily the one with the soonest approaching due date. I liked the ideas the book offered for how to process all your tasks and projects and much of what I read felt similar to how I already worked. I finished the book and decided to give the system a try. I looked for GTD apps and at the time there were only two viable options, Things and OmniFocus. There are more now, but at the time, those were my choices. OmniFocus is the app more suited to GTD. It’s also more rigid in how you should use it because it is made specifically to work for people setting up a GTD workflow. I think you can still use the app even if you don’t use the Getting Things Done method, but the app is really fine tuned to work with it. I opted for Things because it’s more flexible. It’s missing a few things that would help with GTD, but you can work around them and I figured Things wouldn’t commit me to using GTD should I decide it didn’t work for me in practice. I did my best to set up Things for GTD and for a few years I felt like I was accomplishing more. I recorded tasks to the inbox, processed them every morning, and reviewed all my tasks and projects every week. One of the big ideas with GTD is to work on what’s next as opposed to what’s due. 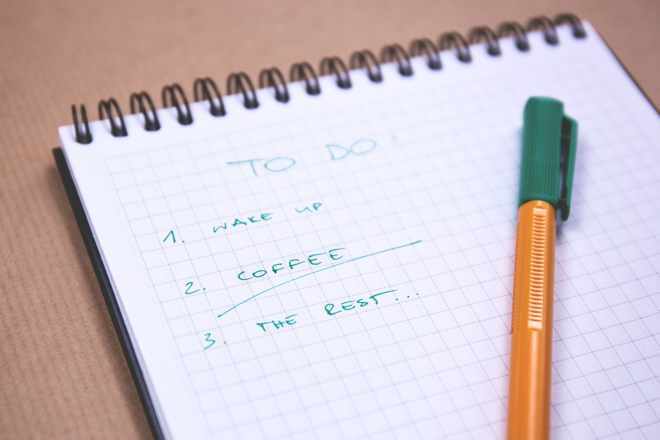 With all your tasks processed and organized, you choose what to work on based on several criteria such as how much time you have to work at that moment or whether or not you have the tools required to complete a certain task. As important as the concept is to the system, it doesn’t work so well for me. I found the only criteria that really mattered to me was how much mental energy I had for a particular kind of work. Occasionally I did have limited time and wanted to find the tasks I could complete in a few minutes, but more often than not, time wasn’t a factor in what I would work on. I’d have a few hours in front of me and it didn’t make a difference if I worked on one thing for four hours or four things for an hour each. I also found it difficult to estimate how long many tasks would take, though I imagine more practice and experience would make estimates easier and better. The part about having the right tools was irrelevant. The version of the book I read was written before smartphones and before most everyone had a computer on their desk. How often are you without your phone today? Probably never, in which case you don’t need to add meta data that a phone is required to tasks about phone calls. Adding the meta data is hardly a big deal though, so I added it for a time to learn which was important for me to include and which I could safely ignore. Note: The book has been updated since I read it. The link toward the beginning of this section takes you to the newer version. Here it is again. Over the last year or two my work has changed. I no longer work with clients or have design and development projects to complete. Now I write most of the day. Most of my writing tasks have fuzzy edges in terms of what I need to do and how long it will take. It’s hard to assign a time to something like “make notes for a series of posts about topic X” or “write draft for post about Y.” Things like that take me as long as they take me. I don’t want to set time limits on them and I don’t find time limits helpful in writing the best piece I can. I make and organize notes until I think I’m ready to write a draft. When the draft is finished I’ll gives it a few rounds of editing until I think it’s ready to publish. How many rounds of editing depends on the condition of the draft. My work rarely has deadlines now. Sure, this post had a deadline of the day it was published, but I write far enough in advance that I rarely bump up against publishing deadlines. For example, it’s still December 2017 as I’m writing this. I can’t say I’m feeling the pressure of a late February 2018 deadline at the moment or find it helpful to know the exact date I’ll publish. Do I Really Need to Use a Productivity System? Productivity systems can be great, but they often work better for certain kinds of work, usually the type of work the author has come in contact with the most. GTD works very well for well-defined tasks and projects that can be broken down into smaller discrete chunks. Creative work tends not to be so well-defined and you can only break it down so much before it becomes meaningless. I don’t need a productivity app to manage tasks that span days and sometimes weeks. I don’t need an app or system to help me finish this post. I’ll follow my writing process until it’s done and when it is I’ll go back to the start of the process for another post or series. With thoughts like those running through my head, it wasn’t long before I found myself not using Things as much as I had been. I started to skip the daily processing and weekly reviews and the more I avoided the reviews, the easier it was to avoid the tasks I didn’t want to do. It wasn’t long before I was ignoring the app and not opening it all. Despite wondering if creative work could really be managed by a productivity app, I thought the problem was that I’d grown too comfortable in how I was managing my work and I assumed I had developed some bad habits, which made it easier to skip productivity management entirely. My solution was to try another app. I purchased OmniFocus thinking a new app would make me pay more attention and help me develop better habits again. I thought maybe the reason I was slacking with productivity was because Things was missing a few features and that switching to an app that had them would help. Blame the app and not the person, I guess. It worked for a time, but it wasn’t long before I wasn’t checking OmniFocus either. I wasn’t reviewing my work or recording new tasks. After restarting my laptop, a few days might go by before I realized I hadn’t reopened OmniFocus. Last year I decided to go without any productivity tools entirely to see what happened. I let my typical day become a routine that I set and I followed the pattern from one day to the next. Most of the year I worked on several projects at a time. Between breakfast and lunch I’d work on writing fiction. 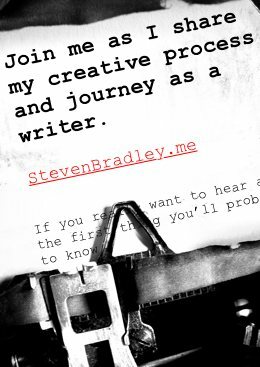 After lunch I’d work on a writing project for my newsletter and to close out the day I’d work on something for this site or on another book. The clock (or my eating habits) signaled the end of one time slot and the beginning of another. When a new slot began I’d continue on what specific project I happened to be working at that time. When I finished the project I might take a day to decided what I’d write next and then I’d start working on that project in the time slot. One week I might have performed a lot of research for a series of posts here and the next I might be writing drafts for those same posts. Whatever it was, I was able to work without any productivity management apps, tools, or systems. That’s a bit of a tease ending I know, but I’ll leave things hanging there and pick this up again next week. I’ll share how I was reminded that I can get more accomplished when I manage the work I want to do. I’ll tell you about the parts of GTD that connect with me and that I think are really the keys to making any productivity system work. And I’ll fill you in on what I’m doing now to help me get more done in 2018 and beyond.